Product prices and availability are accurate as of 2019-04-10 15:39:45 EDT and are subject to change. Any price and availability information displayed on http://www.amazon.com/ at the time of purchase will apply to the purchase of this product. The Makita FS2200 Drywall Screwdriver (0-2,500 rpm) delivers speed, power, and ergonomics for metal framing applications. It is ideal for driving self-tapping screws into steel studs. The FS2200 is powered by a 6 amp motor that delivers 0-2,500 rpm and includes a large variable speed trigger with lock-on button for continuous use. The adjustable depth locator assembly with Makita's Sure-Lock feature is engineered for consistent screw depth. The FS2200 has an ergonomic grip for increased comfort and a cast aluminum gear housing for less weight (only 3.5 pounds) and increased durability. Other features include a depth locator holder for convenient storage during framing applications, a bit storage on the base of the grip to reduce downtime, and an L.E.D. light to illuminate the work surface. The FS2200 is engineered for drywall contractors, acoustical contractors, carpenters, plaster contractors, maintenance, and general contractors seeking a best-in-class drywall screwdriver. 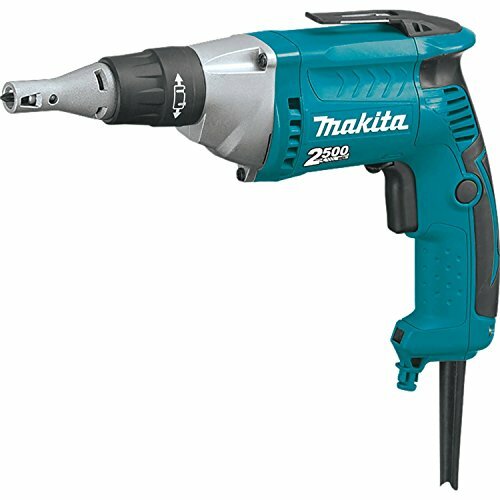 The FS2200 is just another example of Makita's commitment to innovative technology and best-in-class engineering. 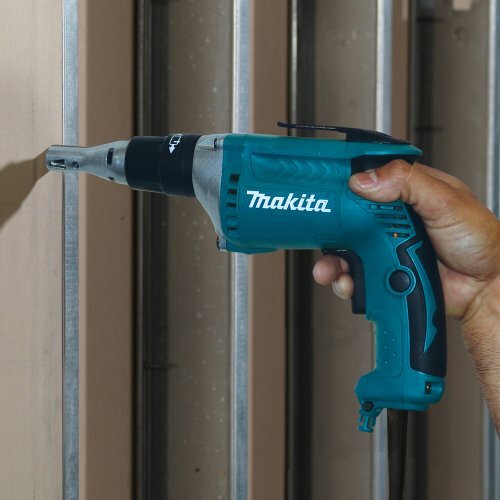 Makita drywall screwdrivers deliver speed, power and ergonomics for framing and drywall applications. 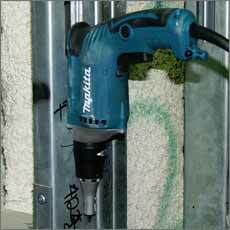 Makita's drywall screwdrivers are powered by Makita-built motors with a range of rpm capabilities. Features include adjustable depth locator assembly with Sure-Lock engineered for consistent screw depth, and a large variable speed trigger with lock-on button designed for continuous use. Makita drywall screwdrivers are ergonomically designed with less weight for increased comfort. Convenience features include L.E.D. lights to illuminate the work surface, depth locator holder for storage during framing applications, and bit storage on the base of the grip. Makita is a worldwide manufacturer of industrial quality power tools and offers a wide range of industrial accessories. 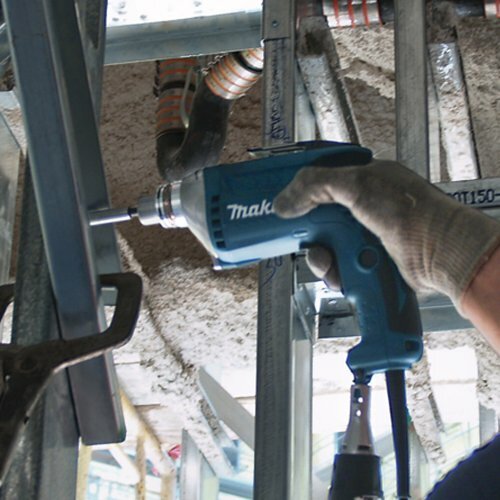 Makita applies leading-edge innovation to engineer power tools that are more compact and energy efficient, yet deliver industrial strength power and results. Makita U.S.A., Inc. is located in La Mirada, California, and operates an extensive distribution network located throughout the U.S. For more information, please call 800/4-MAKITA (800/462-5482) or visit makitatools.com. Makita is Best in Class Engineering. Every Makita tool is thoroughly inspected and tested before leaving the factory. If you are not satisfied with any Makita tool within 30 days of purchase, return it and Makita will provide a replacement or refund. Each Makita tool is warranted to be free of defects from workmanship and materials for the period of ONE YEAR from the date of original purchase. 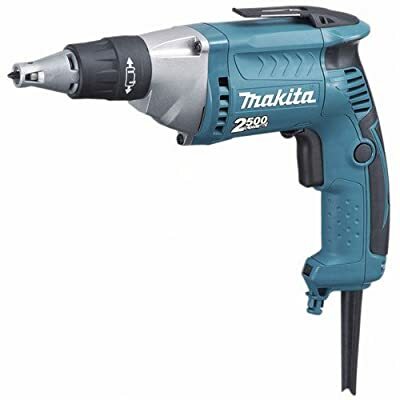 Should any trouble develop during this one-year period, return the COMPLETE tool, freight prepaid, to one of Makita's Factory or Authorized Service Centers. Please see makitatools.com for complete details. 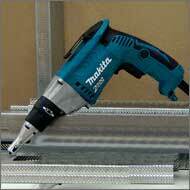 Makita FS2200 Drywall Screwdriver includes: #2 Phillips insert bit and magnetic bit holder. Powerful 6.0 AMP motor with 0-2,500 RPM designed to handle all framing and hanging applications Lightweight drywall gun at only 3.5 lbs. Ergonomically designed rubberized pistol grip for increased comfort and control Built-in L.E.D. light illuminates the work area Adjustable depth locator assembly with Sure-Lock feature for consistent screw depth Cast aluminum gear housing for less weight and increased durability Depth locator holder for convenient storage during framing applications Convenient bit storage on base of grip reduces downtime Large variable speed trigger with lock-on button for continuous use Metal reinforced belt clip for increased durability #2 Phillips Insert Bit (784211-B) Magnetic Bit Holder (784801-1) FS2701 FS6200TP FS4200TP FS6200 FS2500 6844 FS4200 6821 6827 Powerful 6.0 AMP motor designed to handle all framing and hanging applications. Lightest drywall gun in its class at only 3.5 lbs. Ergonomic grip design for increased user comfort. L.E.D. light illuminates the work surface. Cast aluminum gear housing for less weight and increased durability.